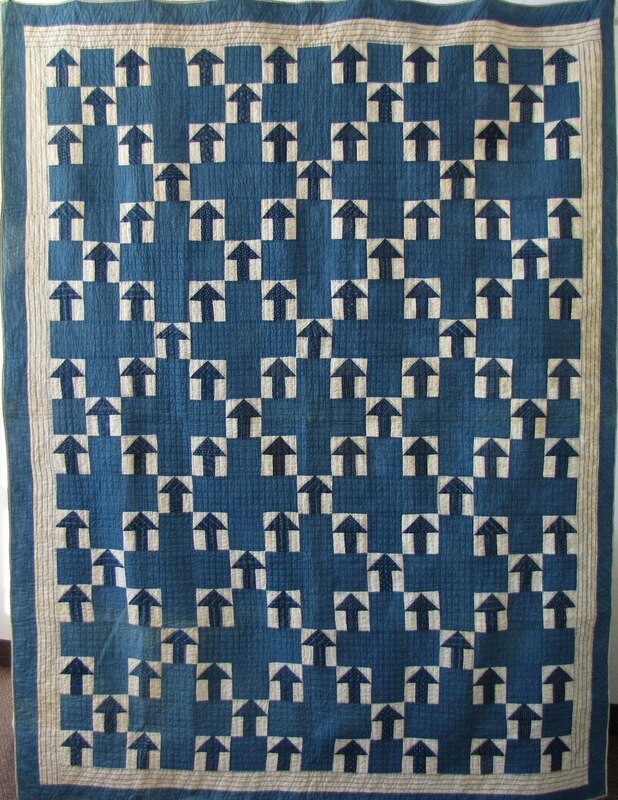 I'm generally a scrappy/lots of different fabrics kind of person but I couldn't resist this interesting and pretty uncommon arrow pattern. 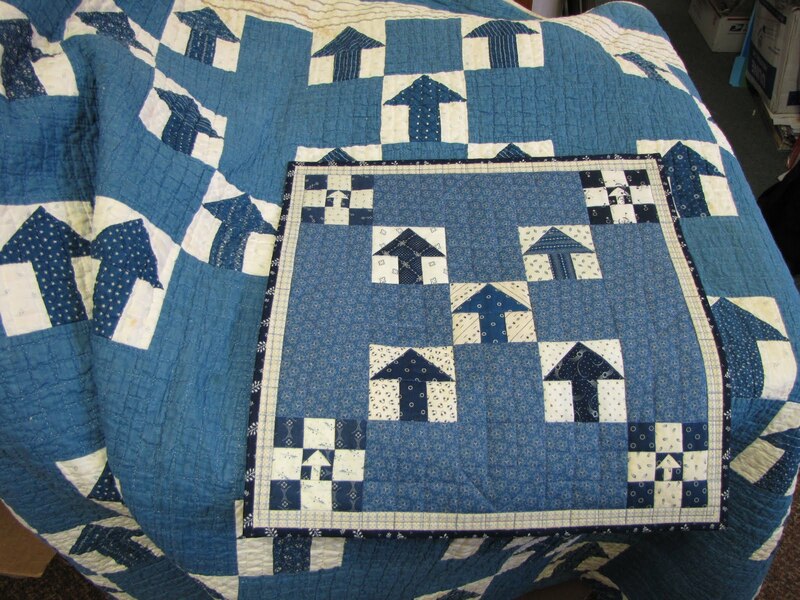 **I've only seen 2 or 3 antique quilts from this pattern so if you have one, please send me a photo. 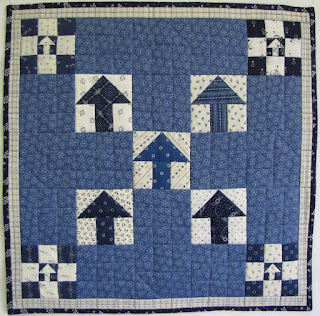 1890s arrow or early + sign quilt that demands to be displayed with the arrows pointing North. 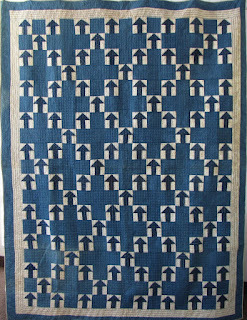 And that necessary orientation along with the color scheme inspired the title of my miniature repro: "I've Got the Blues But Things Are Looking UP"! Here the 2 are posing together. 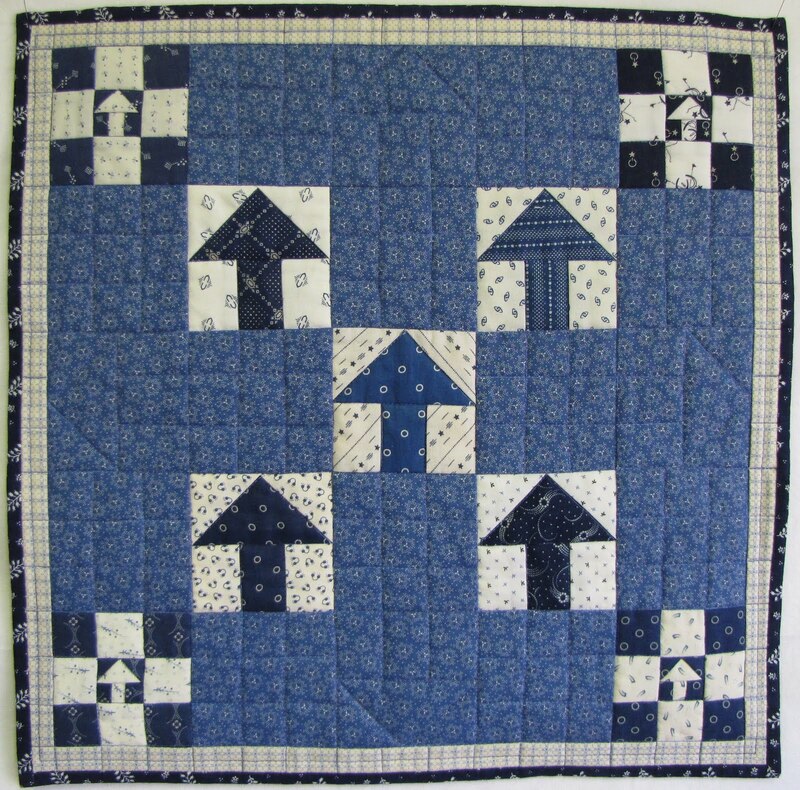 My repro miniature 16" x 16" was made for the Quilt Alliance fundraising contest and did double duty as I donated it and then purchased it back for my Rising to the Challenge Trunk show. And to show the true mini-ness of the repro that is a quarter next to one of the tiny blocks which are 3" finished. 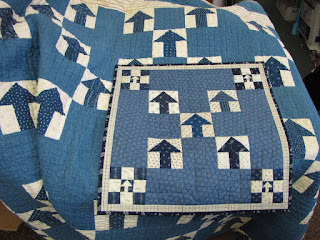 So yes, that pieced center arrow is only 1 inch!